Tanzanite and sapphire are two of the most beautiful blue stones found in jewelry design. Although both stand out in any setting, only sapphire is durable enough for everyday wear. 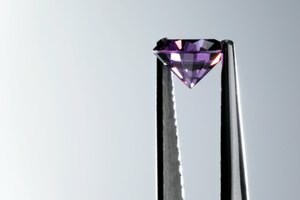 Tanzanite scores a 6.5 to 7.0 on the Mohs scale of hardness, whereas sapphire scores 9.0. 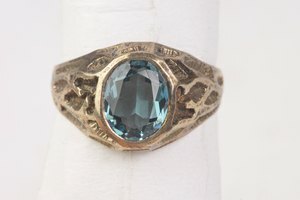 Consequently, to be used in rings, tanzanite must be placed in a supportive setting that protects the stone -- sapphires are free to stand on their own. Tanzanite is considerably one of the rarer gemstones in the world -- even more so than diamonds. Found only in a 1.54 square-mile radius at the foothills of Mt. Kilimanjaro in Tanzania, the violet-blue color for which tanzanite is known was discovered after accidentally being set on fire. In its natural form, the gemstone is brown. Tanzanite's color can range from a deep, rich blue to an intense violet. 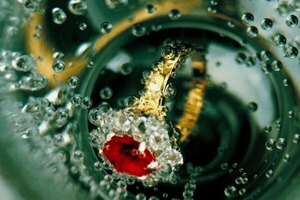 The more vivid the color, the more valuable the stone. 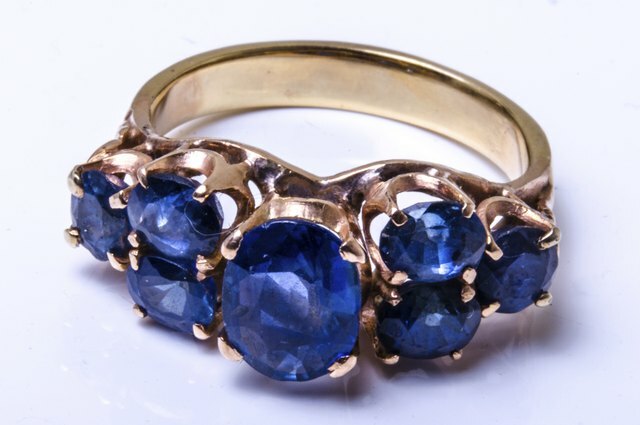 Sapphires are generally considered blue, while non-blue sapphires that meet the same chemical composition as blue sapphires are considered "fancy." Fancy sapphires may be yellow, green, orange, pink, violet or another intermediate hue. 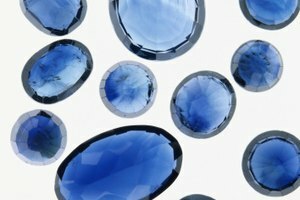 Sapphires can also be gray, brown, black or white. Second only to diamonds in terms of hardness, sapphires are found in Africa, Australia, Brazil Burma, Ceylon, India, Thailand and Vietnam, with blue sapphires more prevalent in Australia and Thailand.